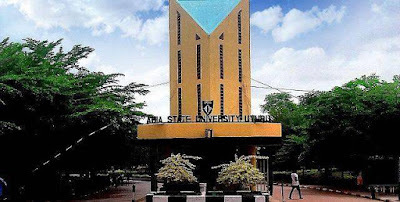 All candidates who selected Abia State University as their First or Second choice,those who intend to change to ABSU as their First choice and those who did not use ABSU as their choice at all but want to be admitted into the University, who scored up to the University cut-off of 150 and above in the 2018 Unified Tertiary Matriculation Examination (UTME), are hereby invited to register for Aptitude Test exercise. All Direct Entry candidates are also invited for the Aptitude Test. The Registration forms for the Aptitude Test are available on-line from Thursday 5thJuly, 2018. The date for the aptitude test will be announced later. -Get back to the ABSU portal (abiastateuniversity.edu.ng) and click on Applicant. The closing date for the registration of the Aptitude Test is Friday, 27thJuly, 2018.